Siwan Crystal is a Thai Jewelry company and brand that designs and creates unique jewelry made with Swarovski and was founded in 2012. Our brand starts from passion in beauty of Swarovski crystals and fascination by handmade jewelry. Most of our products are made by hand, so they can be customized for customers’ need. We have finally become one of the well-known online jewelry shops for people who love crystal jewelry in Thailand. 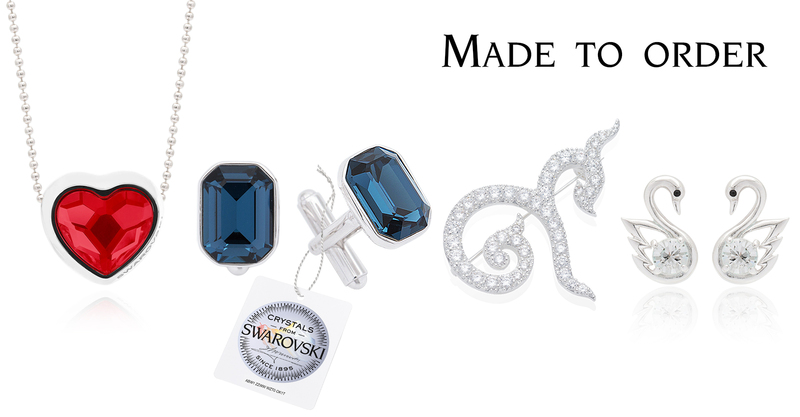 Also, we are branding partner with Swarovski; therefore, our products come with certificate of authencity: Crystals from Swarovski to assure customers. In addition, Siwan Crystal Co.,Ltd. provide made-to-order premium jewelry made with genuine crystals from Swarovski with minimum order quantity: 100 pieces per design. Orders can be brooches, earrings, pendants, necklaces, bracelets, bangles, tie pins, cufflinks, key rings and so on. Moreover, every piece of orders will come with a Swarovski seal: Crystals from Swarovski. This service meets the needs of customers whether companies or individuals who are looking for premium gifts or souvenirs for their special guests, customers, employees or to bring attractive promotions.